A man has died following a crash involving a car and a van. 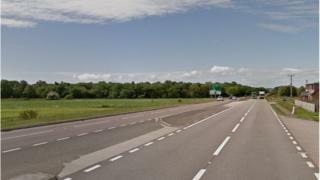 Police said the collision happened at about 21:25 on Tuesday on the A90, at its junction with an unclassified road leading to Marykirk, in Aberdeenshire. John Stewart, 78, of Marykirk, who was driving a Dacia Duster, died. The 19-year-old driver of Ford Transit Connect van was uninjured. Police have appealed for anyone who may have seen either vehicle prior to the crash to contact them.